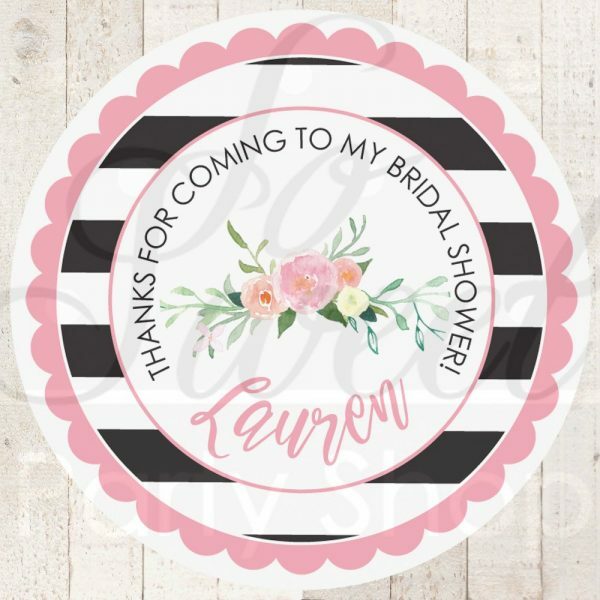 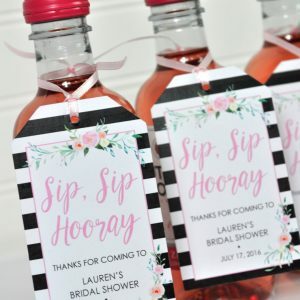 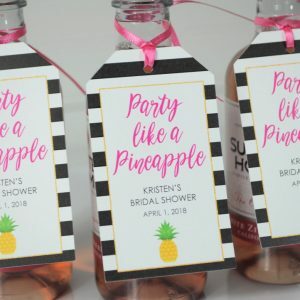 Celebrate your bridal shower with these stripe and floral favor stickers labels. 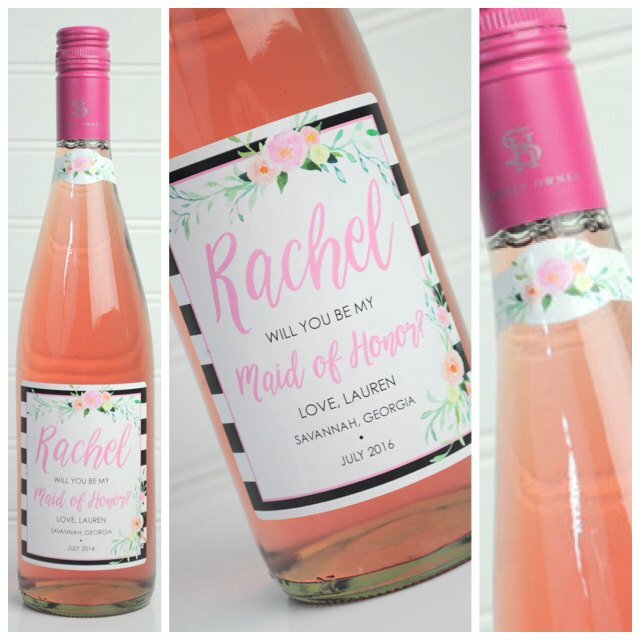 Personalize with the name of the bride to be. 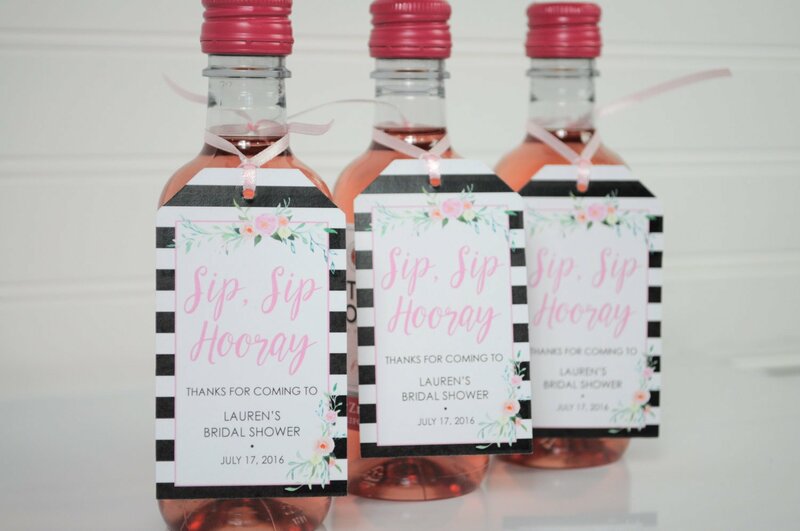 Wording can be customized for weddings, bachelorette parties, baby showers or birthdays. 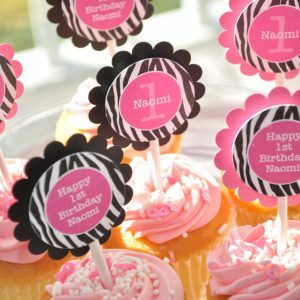 They look beautiful and arrived fast.